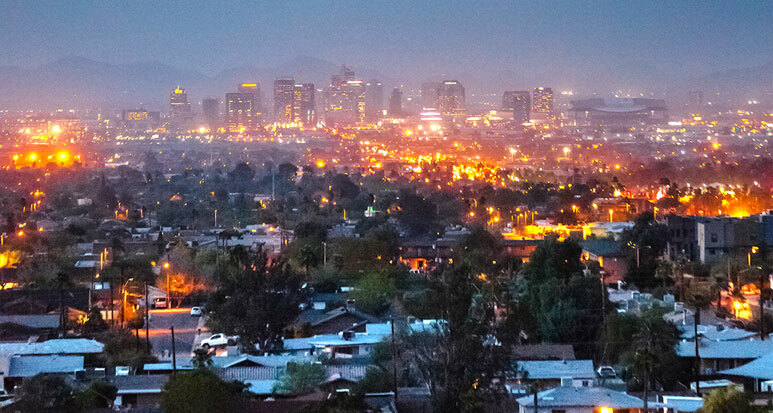 Phoenix and the surrounding areas boast incredible indoor and outdoor adventures that draw hundreds of thousands of tourists to the area year ‘round. There’s nothing better than going on vacation, and there’s nothing worse than having your fun cut short by getting injured. This is especially true when your injuries result from the negligence of resort or attraction owners and operators. At Plattner Verderame, P.C., we are a team of professional, experienced, and motivated Phoenix tourist injury attorneys, and we have seen many clients get fairly compensated after sustaining a horrendous injury while on vacation. When hoteliers, attraction owners, or third party management companies fail to ensure your safety, our premises liability team advocates for you and your family. Each and every one of these trips is worth the time, whether you’re here visiting or you’ve lived here your entire life. But any time you put a lot of people in one spot, or have to battle the elements in any way, you run some risk of sustaining an injury. How can I get hurt on vacation? Slips and falls. These are often due to poor property upkeep or lighting, a form of security negligence. Swimming pool injuries. Much more common than you’d think, slips and tragic drowning incidents can result from a lack of adequate staff, lifeguards, or unfenced areas. Faulty equipment. Wiring that malfunctions in hotels and resorts can lead to electrocution or fire hazards. Additionally, faulty or broken room amenities can produce safety hazards, as well. Negligent hotel employees. If hotel employees fail to properly maintain facilities and amenities, including gym equipment, stairs, or elevators, or the company neglects to hire conscientious security guards, they could be responsible for your injury. You have the right to be represented by an aggressive Phoenix premises liability lawyer with the skills and experience to secure fair restitution on your behalf. You deserve to have an honest investigation and collection of evidence and to understand what, if any, contributing factors the property owners are responsible for. Our approachable and dependable Phoenix premises liability lawyers understand that injuries occurring on your Arizona vacation can have lasting effects on your life and family. In the worst of cases, you might have even lost a loved one due to another’s negligence. We know that it’s important for you to receive excellent medical care and to obtain the compensation you’re entitled to in order to cover those and any ongoing treatment costs. Our trustworthy team of professionals and experts works with you to establish sustainable financial and medical care plans that will make the best use of your premises liability award. You’re not alone if you’ve been hurt on vacation in Arizona. Three of the partners at our law firm are certified by the Arizona Bar Association Board of Legal Specialization in personal injury and wrongful death litigation, and we take great pride in working toward a higher standard of legal representation for residents and visitors of Arizona. To make your case affordable no matter the outcome, we accept premises liability cases on a contingency-fee basis. You won’t pay a dime unless we obtain justice for you via a settlement or verdict in your case. Whether you fell in a pool or were electrocuted by a hair dryer, if your injuries could have been avoided with better care from resort or hotel employees, you deserve recourse for you pain and suffering. Our dependable Phoenix tourist injury attorneys at Plattner Verderame, P.C. conduct thorough investigations to build a solid case for restitution. We bring in experts as needed to help with the details and steps forward. For a consultation that is both confidential and free, call us at 602-783-8793, or contact us. Our clients, other law firms, and the courts trust us, and often refer to us for cases just like yours. Call us today to discuss your needs.